Tommy Ivo, and his legendary Buick! 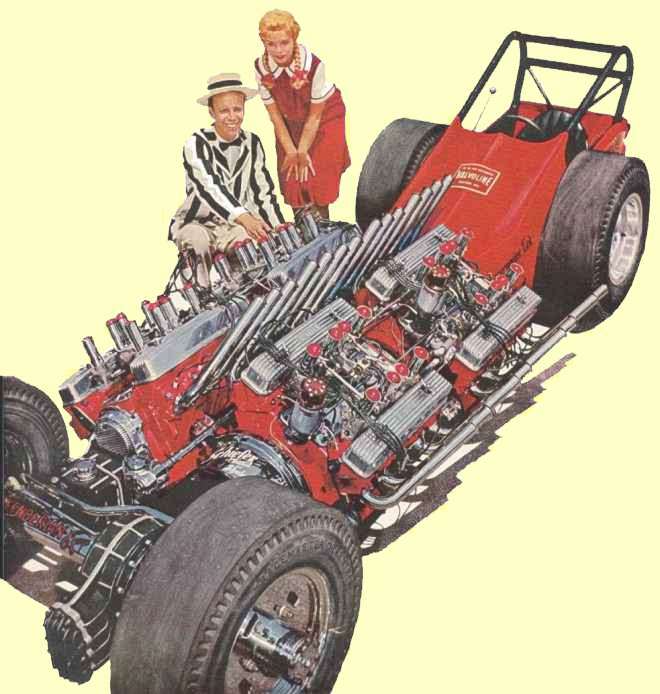 ......so said Tommy Ivo back in '61 when he built one of the wildest drag cars ever to hit the strip......in history!!! Four, yes count 'em, FOUR 454 cubic inch Nailheads!!! 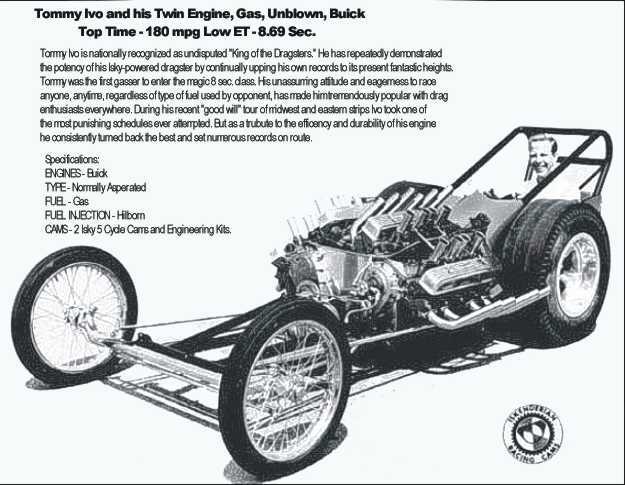 32 cylinders pumping out 1720 horsepower... at 3555 lbs this four wheel drive car clawed the strip with 4 M&H 9.00X15.00 slicks, covering the quarter at over 170 mph in 9.14! The Deist chute deployed for stopping. 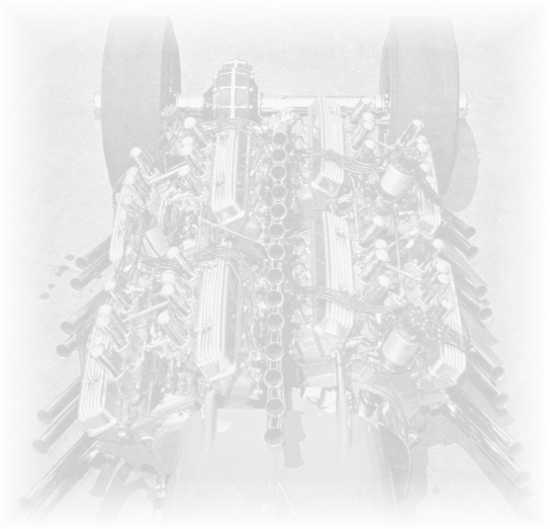 The car was originally built with front suspension. A drive shaft connected a Halibrand quick change to a double disc Schiefer flywheel and pressure plate with Velvetouch discs. 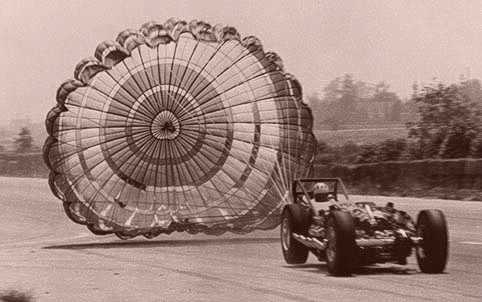 The suspension was inadequate and later made solid. The frame was 3 inch .156 wall chrome moly tubing. 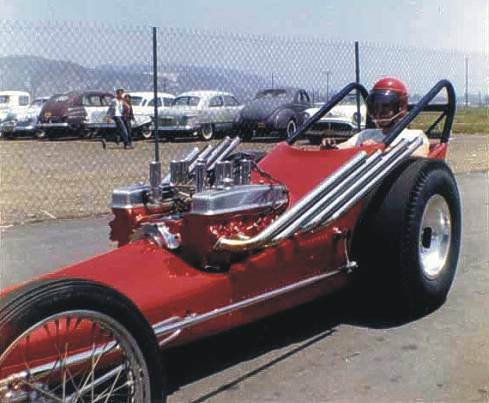 The exhaust was built by Barr's muffler shop in Studio City. A Ford truck rear end was used. 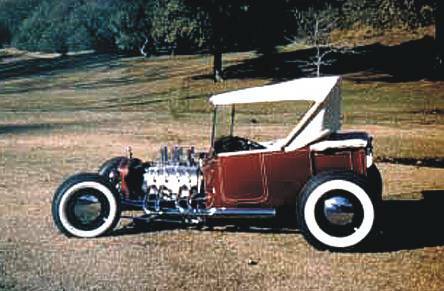 Halibrand rear wheels were used while Tommy made fronts from Buick rims with sheet steel discs. The car was valued at $13,000.00! 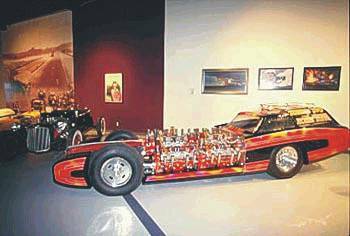 After makeovers the car now resides at the NHRA Museum in Pomona. Tommy's T and Twin are there too! Tommy won his first trophies in this 1955 Buick He went on to put the "Nailhead Buick" into everything from his bucket T to his double and four engine dragsters!